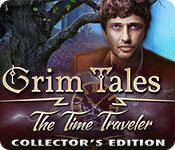 Grim Tales: The Time Traveler Collector's Edition is rated 3.5 out of 5 by 39. 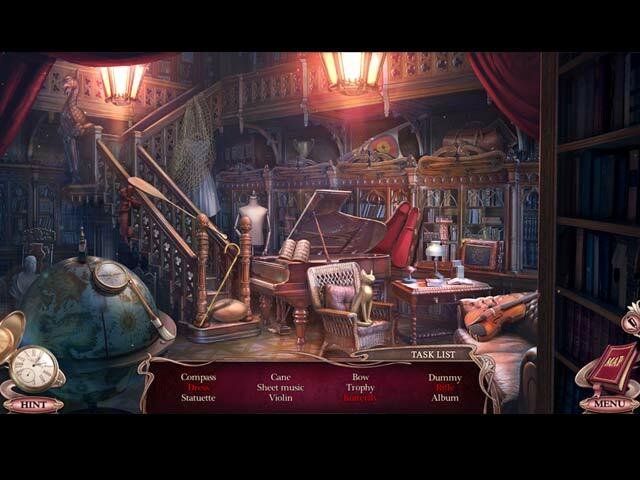 Rated 5 out of 5 by geminijewel from Very entertaining I have many Grim Tales games but this is my favorite. So easy to navigate! I even found all the pieces for the screensaver the first time around! great graphics and visuals. I had a tough time with some of the puzzles but I'm an older casual player so skip it is. Thank you Elephant Games for a great game! Rated 5 out of 5 by Tomsde from Beautifully Created Game The artwork in this series just keeps getting better and better. I've loved all the Grim Tales games I've played. Richard and Anna are back to save the family from some dire circumstances. Richard keeps getting younger with each installment, is a resurrection in store for us in a future title? One of my favorite series, any fan of the Grim Tales games should like t his one as well. Play carefully though, you only get one shot at finding all the pieces of the screen saver puzzle in the bonus content. If I have an gripe about the game is that it didn't allow be go back to the scene where I missing piece of the puzzle was and find it--I had all but one. Rated 5 out of 5 by heartblob from grim tales Excellent time travel going my way ?? excellent game yet another triumph from Elephant games. graphics extraordinary, storyline special, the puzzles are just so good. can tell I like this game HOW ?? try it you won't be disappointed . Rated 5 out of 5 by Majestyx12 from Relaxed Puzzles, Morphs and Figurines I enjoyed this game. Smooth game play. I knew what to do. Relaxed puzzles that I can do. So that makes it challenging enough for me. I could find my way around without the map. Used map though for interest areas. I LOVE Morphs and they are in every scene. The pieces you collect for the screensaver are a puzzle and you can't go back and get any missed ones. If you don't find all of the pieces and put it together, no screensaver. It's easier if you place some pieces every so often instead of letting them pile up. The figurines are family or foes, with info. You have 27 Morphs, 26 small squares you collect to put together a screensaver puzzle. 14 figurines. There are mistakes in this game and they need to proof read better. One figurine info has "doorstep children". Now what is that? In 1920 they have 149 meters. The US didn't use meters then. Come to thing of it, are we (in the game) in the US? In the bonus chapter they had a coupling that I don't remember. I counted 14 hops in the main game and 4 in the bonus. They are alright but I think they could be prettier art wise. I want to recommend this game but I had some tech problems. Bonus content- The Archives are replays for selected, 16 Hops and 12 Mini-games. You can replay and download 5 music tracks. You have 8 Wallpapers and 8 Concept Art. 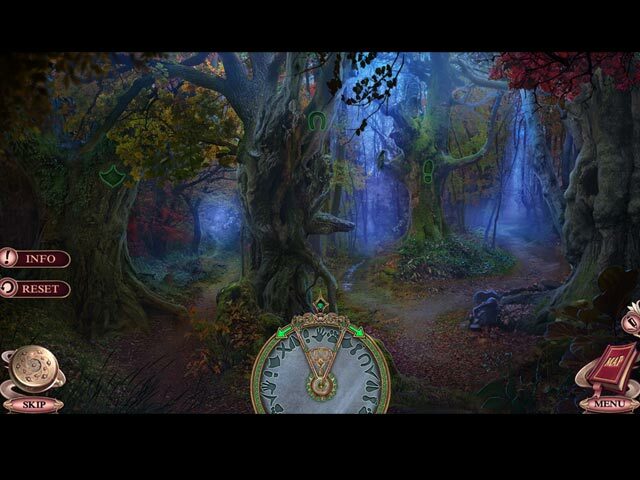 Rated 5 out of 5 by MaryCricket from Time Travel This game maybe a bit short but I found this game very interesting, because in this game you get to know more about the Gray's Family Tree and how they are related to another. Love collecting the Statuettes because they tell who they are. If you are a Grim Tales fan I highly recommend this game, not just for the game but for the Family Tree and how the characters all fit in the tree. Rated 5 out of 5 by alphafem from Based on Demo..... I really like the Grim Tales collection. I have all but two (Graywitch and Threads of Destiny). Elephant games puts out approximately one every six months or so, and this is sooo much better than the "assembly line/cookie cutter" offerings we see too much of lately. There is an obvious pride that Elephant brings to the table. I respect that much more than mass production! Does QUANTITY over QUALITY ever really work? This demo gave me all the hope that The Time Traveler will follow along the same awesome paths as The Legacy, The Wishes, and Crimson Hollow before it. (my three favorites). I've liked everything I've seen so far, so this is a buy for me. As always, do what brings a smile to your heart. Peace. Rated 5 out of 5 by pennmom36 from IF THEY'RE BOTH TIME TRAVELERS WON'T THEY RUN INTO EACH OTHER? Move over Anna, there's a new Time Traveler in Town, and he's seeking revenge on everyone, well at least the Gray and McGray family members. Anna Gray and her dear ole dad, Richard, were heading to the new McGray mansion, for a family barbecue with James and Elizabeth, when Anna is forced to swerve off the road to avoid hitting a stranger. (I wonder if Anna straps the seat belt over Richard's skull?) After hoofing it to the mansion, Anna discovers a horrifying, grizzly sight, so once again, Anna must perform the sacred family ritual, that allows her to travel back in time, where hopefully, she'll be able to stop a mysterious Time Traveler from destroying her entire family! I've always been a fan of the Grim Tales series, and I've always loved the realistic graphics that Elephant Games brings to the table. Lately, the Collector's Edition goodies have been diminishing little by little, from some of the devs, but not from this pachyderm proboscidea! Each scene has a Morphing Object (yea! my favorite CE feature) and some of the scenes have collectible Puzzle Pieces to assemble a Screensaver, and collectible Gray & McGray family Statues, that give brief descriptions of who's who to whom. Every time I play a new Grim Tales, I'm always left with more questions than answers, it seems. As I rummage through my (aka Anna) family photos, one is labeled Anna, Elizabeth McGray and her two sons. I have to label my own name on the photo, yet I can't label the kids names, they are just Elizabeth's two sons? Then when I arrive at the mansion, I immediately say "oh I'm too late" am I psychic as well? Shortly thereafter, I see that the Red Wine has been Cosbeyed (think about it) which turns the red wine to green. Unless I just polished off an entire bottle of wine first, wouldn't I notice my red wine was now green? I pick up a threatening memo left behind by the perp, know how I know it's from the perp? Cause he signed it....a demon from the past. Once I finally make my way inside the mansion, I discover cobwebs in every nook and cranny. They can afford a mansion, but not a maid? The mansion comes with a beautiful pond, stocked with blacktipped sharks? Out back is the fireplace, and a pot of boiling water. Okay, after all they were having a picnic, but no matter how many times I return, it never boils and evaporates, again okay. But the real question is, if time supposedly stands still, if everyone is "frozen" in place, and Anna is the only one that can move, why is the water boiling? The good news is that I use the same screwdriver FOUR times just in the demo! 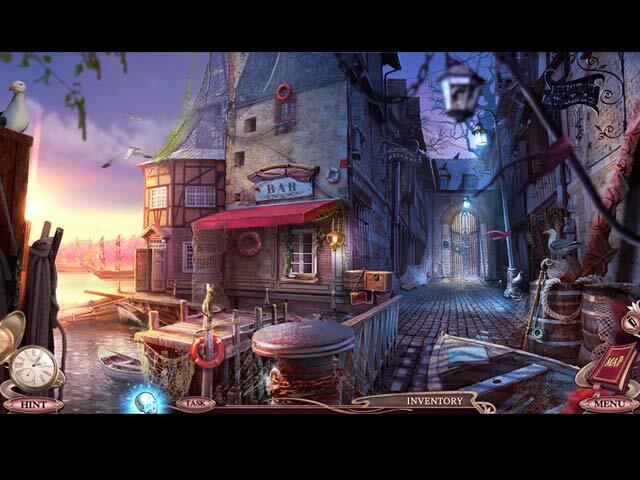 (can't say the same for the net, which is discarded immediately, only to discover the next scene requires something similar) [end confusion] The Hidden Objects vary, and are nicely done, but there are no alternative games available if you're not into HOP's. There are Interactive List finds, Silhouetted Shape finds and Pair finds where you move two objects at a time to find matches. There are also smaller Zoom Zone HOP's with just a handful of Silhouetted Shape objects to find. The Mini Games are good, although nothing really new is presented. Most are easy to medium difficulty. Below are brief descriptions of some of the games you'll encounter during the demo: 1) Swap triangles to complete the pattern, swapping vertically will rotate triangles. 2) Rotate inner and outer circles to restore the pattern. 3) Swap lock parts to match the carved dowels. 4) Arrange the fish so they will fit into their matching slots when the you press the play button. 5) Swap the footprint tokens to match their animal counterparts. 6) Swap colored elements that create connections until all connections have been closed. 7) Guide the gold golf ball to make a hole-in-one, by moving the red balls against the gates to create a path (repeat x2) 8) Turn the dial to input the correct code according to the clue. GRIM TALES GAMES AVAILABLE Title***Collector's Edition Release Date***Average Rating 1- The Bride (August 4-2011) 3.8 2- The Legacy (January 5-2012) 4.6 3- The Wishes (July 12-2012) 4.5 4 -The Stone Queen (January 3-2013) 3.9 5 -Bloody Mary (August 1-2013) 4.3 6 -The Vengeance (May 15-2014) 4.5 7 -Color of Fright (November 6-2014) 3.8 8 -The Final Suspect (May 16-2015) 3.9 9 -Threads of Destiny (October 7-2015) 3.9 10 -The Heir (February 25-2016) 4.3 11 -Crimson Hollow (August 25-2016) 4.1 12 -Graywitch (February 2-2017) 4.0 13 -The White Lady (August 3-2017) 4.0 14-The Time Traveler (January 25-2017) n/a by: Elephant Games This Collector's Edition version has 8 Wallpapers, 8 Concept Art pictures, 5 Music Soundtracks, Archives, 14 Collectible Family Statues, Morphing Objects in each scene, 18 Achievements to earn, 26 hidden Puzzle Pieces to assemble a Screensaver, a built in Strategy Guide and a Bonus Chapter, enjoy! Rated 5 out of 5 by brassminnie from Love this series I usually wait for the SE, but not on this one. I don't demo. I just buy. I've never been disappointed and this is no exception. Time travel! Fix the present in the past. Paradoxes are a family's best friend. This may not be the best of the series, but it was enjoyable all the way through. I'm tired of horror, but it's the easiest thing to write, so we get the same evil being trying to steal souls etc.in one game after another. This series has left that and I truly appreciate the creative effort. Just a reminder, the baton and the skull were passed. Anna is not Richard's daughter. Richard may have taken Mike's memory of traveling in time, but I think the dev now has a time-traveling relative in reserve. We shall see and I'll definitely be watching.